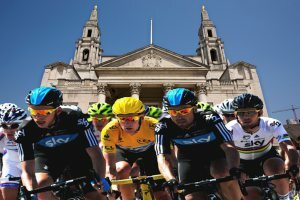 The organisers of the “opening ceremony” Tour de France event at the first direct arena in Leeds in July have doubled the number of free tickets they’re making available. Mr Verity told the radio earlier in the week that 1,000 free tickets were going to be made available for “schoolchildren and others”. He gave no explanation for the extra allocation. There has been a lot of anger and disappointment from cycling fans in the local media since the price of tickets (£45-£85) for the public presentation of the teams – almost always a free event – was announced. 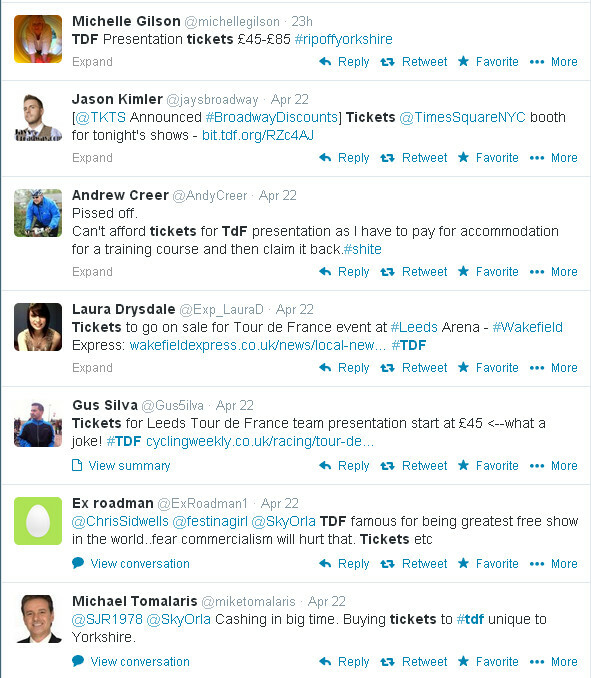 The increased number of free tickets means at least £45,000 less revenue for the show. Verity told the radio today that ticket sales would probably only pay for two-thirds of the show’s cost. With 9,500 now going on sale, a sell-out crowd would bring in around £485,000. Which makes it a pretty expensive show. Mr Verity said earlier in the week that Welcome to Yorkshire would be picking up the tab for any gap between the cost of the show and the income generated by tickets. This entry was posted in Uncategorized and tagged gary verity, team presentation, tour de france, yorkshire. Bookmark the permalink.